The New York based artist Shihori Yamamoto utilizes her background in architecture to create large site-specific installations and intricate drawings. 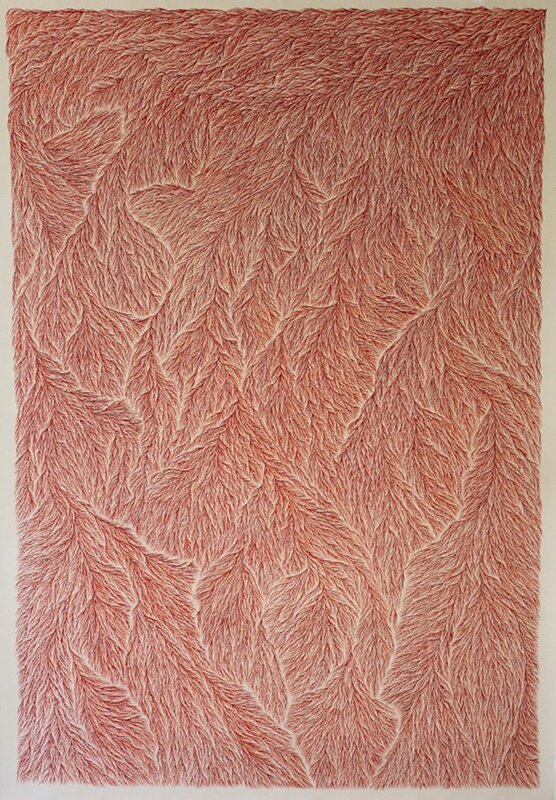 Yamamoto’s work deeply relates to her daily experiences with her life-long mental illness. She creates artworks which are therapeutic repeating tasks such as drawing and connecting elaborate lines and stitching rags. Yamamoto starts producing a piece without setting a clear goal. Yamamoto’s oeuvre celebrates the dichotomies of brightness versus darkness, chaos versus order, and life versus death. Her work expresses the artist’s obsession with warm colors, which have protected her from insecurity since early childhood. Yamamoto’s works have been exhibited internationally in the United States, Japan and Germany. Her honors and residencies include NARS Foundation Residency, Yoshino Gypsum Art Foundation Grant, Pola Art Foundation Grant, Shibuya Art Award/Hiraizumi Chie Award (Tokyo), Urban Glass Scholarship, New York Foundation for the Arts Immigrant Mentor Program, Kimmel Harding Nelson Center Residency Award, Vermont Studio Center Artist Grant, and Ito Foundation Scholarship. The show Welcome to my World at Ouchi Gallery was reviewed by the New York Observer in the article Warming Her Environment: Shihori Yamamoto on her Latest Work. Her work has been featured in numerous local group shows which include NARS Foundation, Kunsthalle Galapagos, Brooklyn Waterfront ArtistsCoalition (BWAC), New York Foundation for the Arts, The Painting Center, The Untitled Space (with the show She Inspires), Governors Island Art Fair, and Pleiades Gallery. She has also shown in Tokyo and Berlin (Germany) at Lite-Haus Galerie. Support: Shihori Yamamoto's residency is made possible with support from Pola Art Foundation in Japan.